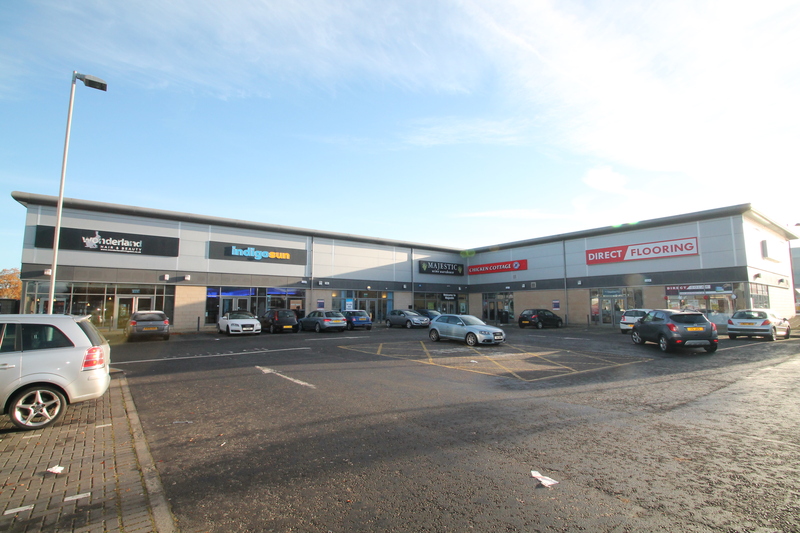 Livingston is the retail and administrative centre for West Lothian located next to the M8 motorway, approximately 15 miles west of Edinburgh and 30 miles east of Glasgow. 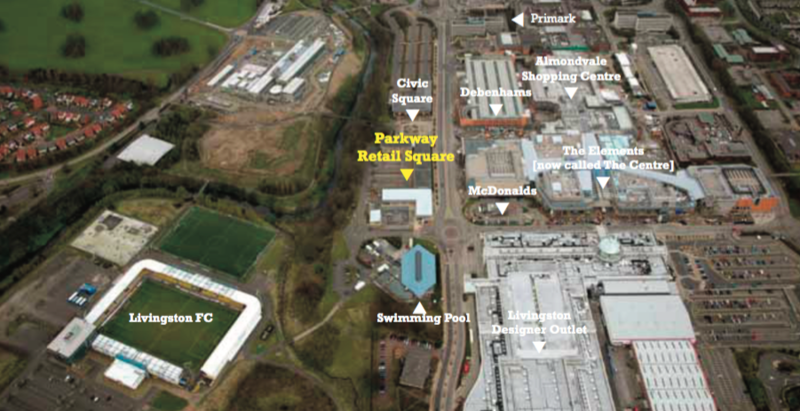 The units within Parkway Retail Square are located on a very prominent corner site fronting Almondvale Boulevard which is the main route through Livingston town centre. 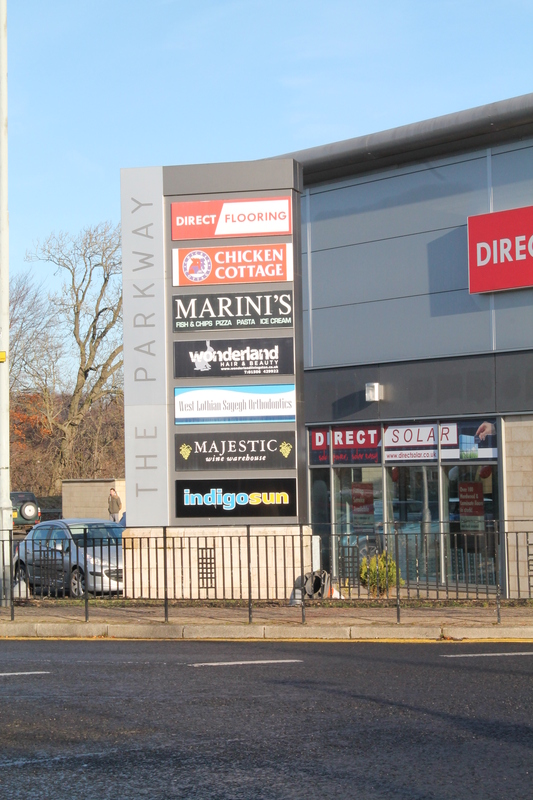 Immediately adjoining Parkway Retail Square is the Almondvale Shopping Centre and The Elements now called The Centre plus Livingston Designer Outlet Mall in the heart of the town centre. 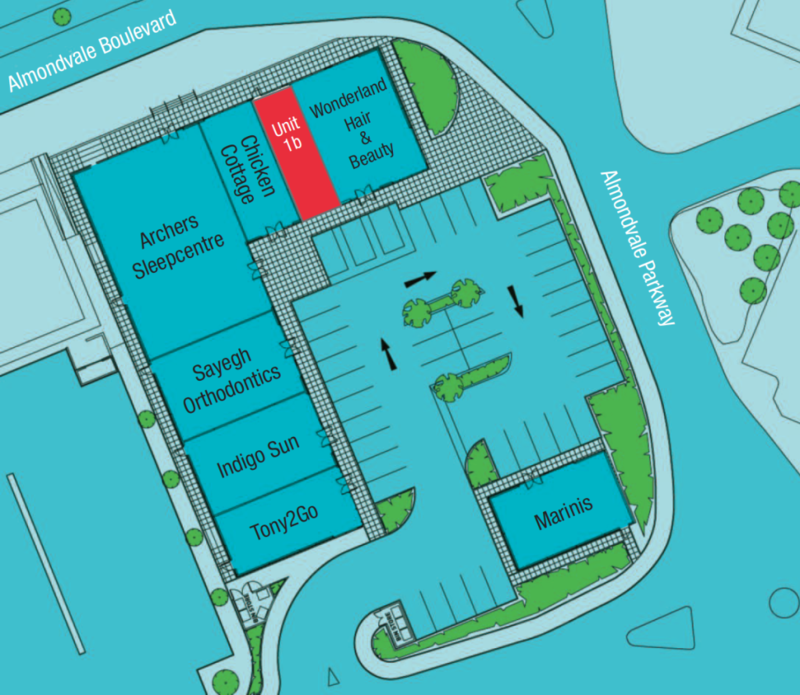 Occupiers in Parkway Retail Square include Indigo Sun, Wonderland Hair & Beauty, Archers Sleep Centre, Chicken Cottage, Sayegh Orthodontics, Tony2Go and Marinis. Unit 1b is designed with a 6.4m eaves height to accommodate full mezzanines if required. There are 42 on-site car parking spaces. Please note further information and scaled PDF plans are available on request. On conclusion of legal missives. 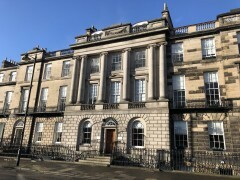 On application, with attractive terms available subject to covenant strength. Rent will be subject to VAT. The units are available on institutionally acceptable FRI terms with 5 yearly upward only rent reviews. Established low service charge of under £2/sqft. 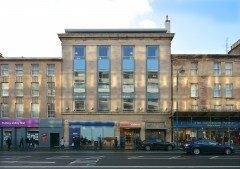 Viewing strictly by prior arrangement with the joint letting agents. FT Linden 0131 226 6287. 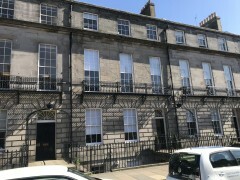 The units will require to be assessed for rating purposes following completion and incoming tenants will be responsible for all Local Authority rates.